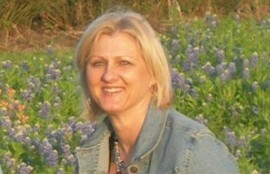 I have over 30 years experience in education in College Station ISD. Currently I am an elementary librarian and writing conusltant. I am excited about the opportunity to share my writing experiences with students. During my presentations, I share stories that I wrote when I was in elementary school, my life as a writer, when I began writing, where my story ideas come from, and how a book is produced. The students also help me do an interactive storytelling of The Jalapeño Man. I do 4 presentations per day. Sessions can be divided between two schools close in proximity if desired. Presentations are between 40- 50 minutes each depending on the age level. I have recently added a writing workshop available as a session type for 4th grade and older students where we work on adding figurative language and action verbs to enhance their writing. Please contact me for information about my rates and the current $100.00 discount. If you have any questions please feel free to contact me: debbiehleland@yahoo.com or 979-764-0166. I look forward to working with the young writers at your school.